The Books Have All Been Sent! 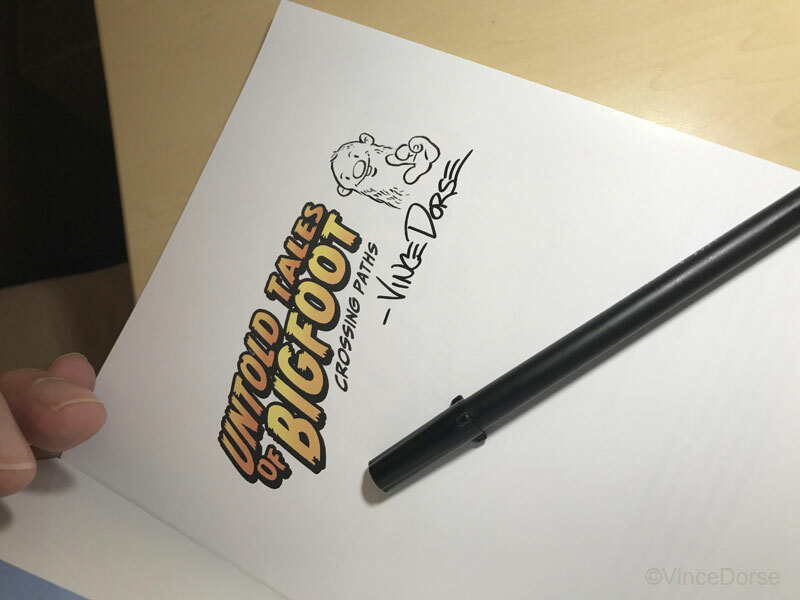 All of the books are delivered signed, with a little Bigfoot doodle, and that took a little while to accomplish. Felt gratifying, though, putting that finishing touch on something that took a few years to complete. 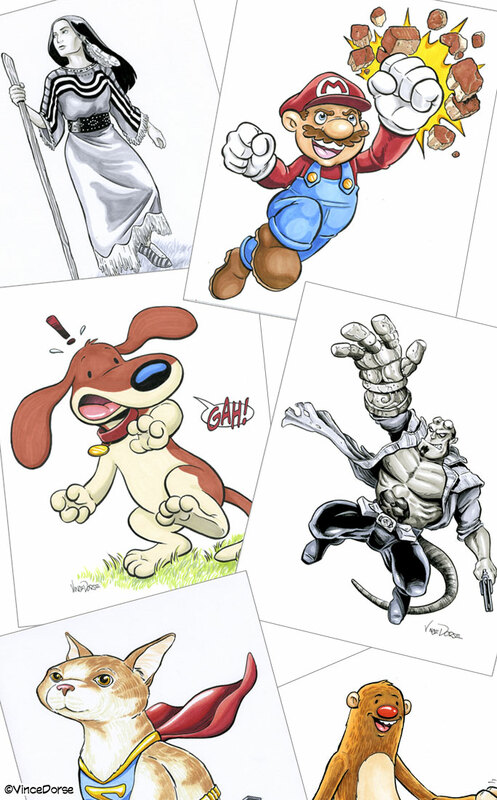 Some backers got additional black/white or color commission pieces of whatever single character they wanted. 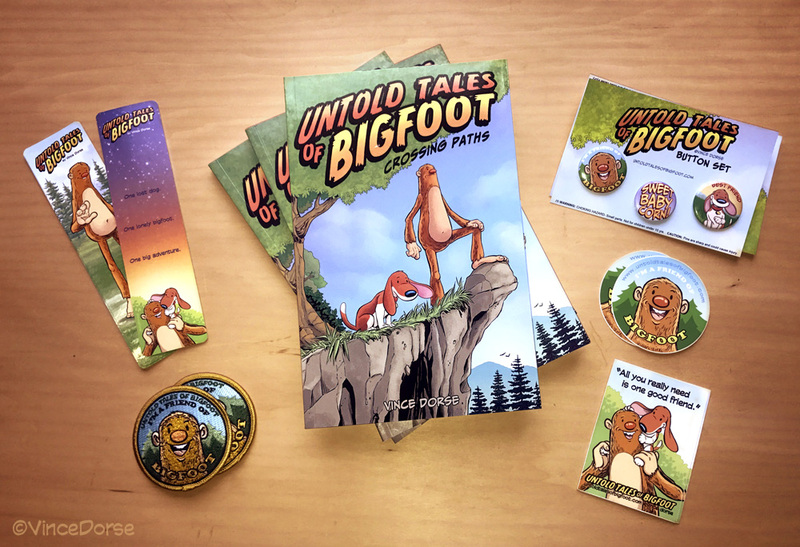 Some chose their favorite pop culture heroes, some invented entirely new creations, and many – I’m very happy to report – asked for my own characters, Bigfoot or Scout. But no matter what they asked for, all of the commissions were a blast to draw. Now that all the books have been signed and sent out with their accompanying artwork, I’m down to the final stage: The digital caricatures. 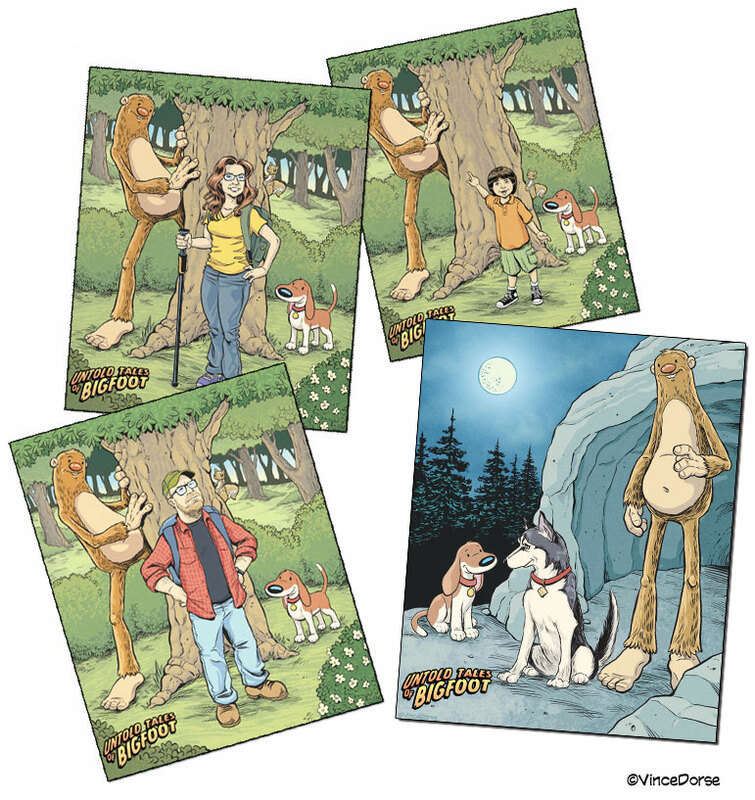 I’ve just started these (with a short break for the holidays) and will continue to draw cartoon/comic book versions of my Kickstarter backers hanging out in the woods with Bigfoot and Scout. These are images from the Kickstarter campaign, but they’ll all look basically like these, a few with the daytime background, a few with the night. Some backers chose to have themselves drawn, others chose their kids or grandkids, while still others went with their pets. These will be emailed to backers at a high enough resolution to print out and frame, if they want. Once that’s completed, I’ll sleep for a month and then, if nothing else throws itself in my path, I’ll start working on Book 2. How can I get a book? If you missed the Kickstarter but you’d like to pick up a copy of the book for yourself, I have some available in my online shop. And if you already picked up the book and would like to leave a nice rating or review, feel free to stop by my goodreads.com page.